When a car slams into the side of a tractor-trailer and slides underneath, the results can be horrific. Many of a car's safety features are rendered worthless. The top of the car may be sheared off; the occupants are often decapitated. Federal statistics show that on roads and highways across America, "side underride crashes" kill more than 200 people every year. On Tuesday, for the first time, members of Congress proposed a bill that would require guards on the sides and front of all trucks to help prevent cars from sliding underneath them during collisions. "There is a massive safety design flaw that makes collisions between cars and trucks much deadlier than they need to be," said Sen. Kirsten Gillibrand, D-N.Y., who introduced the Stop Underrides Act of 2017 with Sen. Marco Rubio, R-Fla. "This bipartisan legislation would save lives." In February, an NBC News investigation found that despite a recommendation from the National Transportation Safety Board, side guards are still not required on trucks, even though NTSB, which investigates accidents, concluded that they would reduce injuries and deaths on America's roads. The investigation featured the stories of two women who began crusading for side guards after they lost children to truck underride crashes. Both were thrilled by Gillibrand and Rubio's bill. Marianne Karth, who lost her two teen daughters, AnnaLeah and Mary, in a 2003 crash in Georgia, said, "We are excited at the progress we have made in a short time compared to the decades of inaction." "There is no greater heartache than knowing that you've lost a child to a crash that was preventable," said Lois Durso, whose 26-year-old daughter, Roya Sadigh, was killed in Indiana a dozen years ago. "After thousands of preventable truck underride deaths over many decades — finally, for the first time, we are on the cusp of making a difference in truck underride deaths." Film actress Jayne Mansfield's death on a Louisiana highway nearly 50 years ago sparked the first calls for rear and side protection. But it wasn't until 1998 that the National Highway Traffic Safety Administration (NHTSA) mandated rear guards — known as Mansfield bars — on trailers. Today, the federal agency in charge of highway safety requires guards on the back of trucks, but not along the sides. 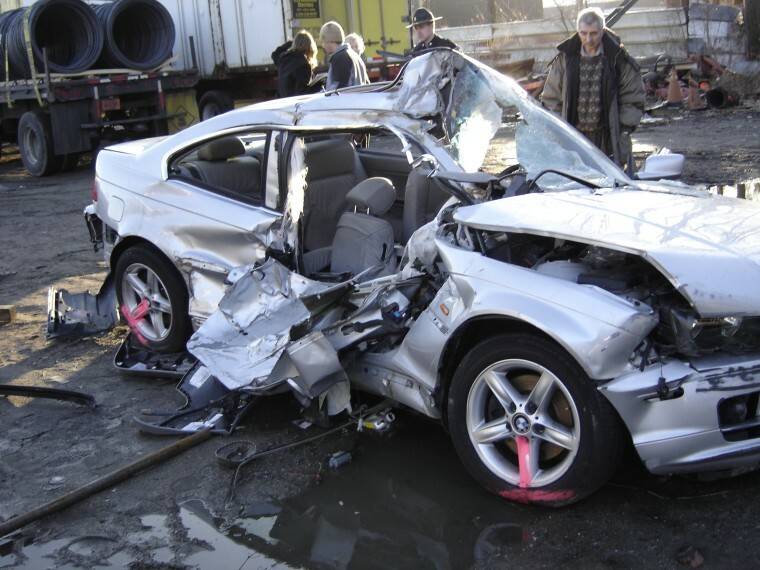 "Many of these crashes kill people and they are preventable with proper underride guards," said Joan Claybrook, a consumer advocate who ran NHTSA in the 1970s. "The trucking industry could do this voluntarily but hasn't, so legislation and regulation are required." The NTSB issued a recommendation to NHTSA in April 2014 that all new trailers have side protection systems. But the recommendation was nonbinding. A NHTSA spokesperson said the agency initiated a research project on side underride protection on trailers in 2016. "This project has recently been completed and the agency is preparing the report for public release," said the spokesperson. The Truck Trailer Manufacturers Association, the industry's lobbying arm, has opposed a side guard requirement for years. In February, it referred NBC News to a 2016 letter to NHTSA that cited the added cost, technical challenges and concern that the guards could weaken parts of a trailer or dangerously increase their weight. "[We] would support the implementation of side impact guards if they ever become justified and technologically feasible," the association wrote. The Truck Trailer Manufacturers Association did not respond when asked for comment on Gillibrand and Rubio's new Senate bill. The American Trucking Association — the ATA — did not comment on the proposed bill, but did say "NHTSA is already examining the potential benefits and problems with side underride guards and we believe they should be able to continue with their work and we look forward to the results of their research." "It's very difficult politically," said Claybrook, "because the trucking industry wants to stop any safety standards that it can, because it increases the price of a truck." NHTSA has the power to issue regulations, or Congress can order the Department of Transportation to act. Rubio and Gillibrand's bill will first go to the Senate Commerce, Science and Transportation Committee for consideration. Committee chair Sen. John Thune, R-S.D., had previously told NBC News the committee was "willing to look at" side guards "as we are on every issue, steps and things that we can do that would make our roads safer." In a statement to NBC News, a spokesperson for that committee said that a "lack of specific data has hampered efforts to determine the impact of guards in preventing fatalities," but that the committee "looks forward to reading Sen. Gillibrand's new legislation." Gillibrand said that the standards in place are outdated, and that this is a "problem we can solve easily." Claybrook agrees. "It's long overdue."